Feeling festive? Then get ready for a generous helping of downloadable delights courtesy of Nintendo. Wii U title Captain Toad: Treasure Tracker is leading the pack, with retro favourite Fire Emblem also arriving on Wii U. It's a slightly slimmer overall offering, though some discounts may also be rather tempting. Missed the European Nintendo Download update earlier in the week? Don't fret, the details are all right here. Fire Emblem (Nintendo, $7.99) — A franchise saved by recent success on the 3DS with Fire Emblem: Awakening, it combines enjoyable fantasy settings and lore with accomplished turn-based strategy design. This Game Boy Advance entry was the first to arrive in the West — despite a host of home console predecessors — and serves as an excellent introduction to the series. We'll bring you a review soon. Lode Runner (Hudson, $4.99) — This qualifies as another truly retro, simple arcade puzzle experience from the NES era; you tackle a host of environments, grabbing gold and avoiding enemies. A product of its time in simplicity, we'll give it another look — if you want to go truly retro you can check out our Wii Virtual Console Lode Runner review. 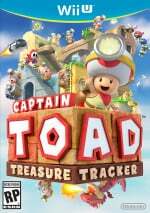 Captain Toad: Treasure Tracker (Nintendo, $39.99) — The final major retail release of the year from Nintendo, this is the first game in which Captain Toad and Toadette lead the way. A single player experience that makes extensive use of the GamePad, this has over 70 levels of 3D diorama-style puzzles, with some fun treats and extras to unlock — amiibo support will also be added in a later update. 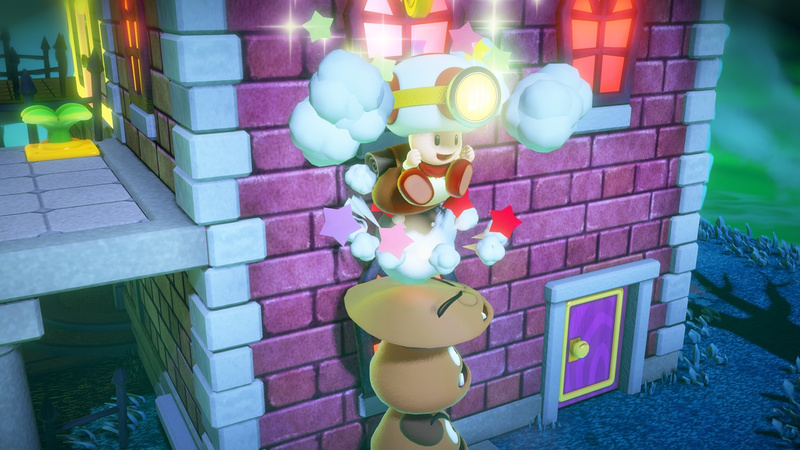 We are certainly fans of this charming title, as we explain in our Captain Toad: Treasure Tracker review. Available from 5th December. Christmas Wonderland 4 (Microvalue, €9.99) — It had to happen. We've had two entries on DSiWare and a 3DS eShop début last year, and now we have the fourth entry in this hidden object series. You find objects, is the jist, through we've been scathing of the previous three versions; will this one be another lump of coal or a pleasant surprise? We'll see soon enough. Ultimate NES Remix (Nintendo, $29.99) — This portable compilation with elements of both NES Remix Wii U titles finally arrives, including challenges from 16 NES games, online leaderboards and two extra challenges; these are Nintendo World Championships Remix and Speed Mario Bros. We gave this a solid 7 in our Ultimate NES Remix review, and those that pick it up will get a free Famicom 3DS HOME theme while stock lasts. Available from 5th December. Disney Violetta Rhythm & Music (Little Orbit, $29.99) — Based on a Disney Channel show, this is a mix of minigames where you show off your rhythm and performing skills. That's the update for this week in North America, though NES Remix Pack for Wii U is also available in stores. Let us know what you're planning to download in the poll and comments below. 100% for Fire Emblem. Just how it should be. Edit: That didn't last long! Oh well. I've been waiting for a VC release of this one. I will get it later! I'll probably wait till Christmas to download Captain Toad though. I plan to use the Deluxe Digital code I get from it to help with downloading Pokemon Y. Been wanting to try one of those games. Just the Sonic Boom demo for me. Well, of course I will be getting Captain Toad, and downloadable so I can play it ASAP. The other day I finally played the EOIV demo that had cobwebs on my 3DS, and it was not bad, although it seems to be a time sinker. May pick it up. About the Disney discounts, if I am not mistaken all mentioned games are $9.99. Wish Captain Toad was released in the UK this week. I'm jealous! I wonder if this FE is easier than Sacred Stones. Sorry for the slight delay and some initial code / proofing errors, we had a fire alarm at the office that messed things up a bit! Just the Sonic Boom demo for me. I'm saving my eShop funds for Hyrule Warriors DLC for when I finally get the game for Christmas. @Whopper744 Don't think so because from what I've heard SS is about one of the easiest. Of course, SS does have a hard mode, and this has restore points (which I will never use by the way!). @ThomasBW84 Tom, how many times have they told you to stop cooking in the office? @ThomasBW84 It was bacon? Oh well it's okay then. Bacon is a staple of life. We don't get a cake ninja game? WHAT THE HELL NOA? 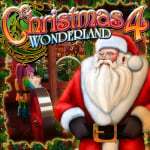 is it a deliberate oversight that the Christmas wonderland 4 game isn't listed in the voting options? Where is Lufia GBC game on the 3DS VC? Really copyright issues should be taken care of, already translated 15 odd years ago. All Nintendo has to do is move a file into the VC folder on the eshop. No cartridges to make and send to NA a simple file. 99 Seconds for me. Love online leadeboards and a challenge. I'll get Captain Toad and Fire Emblem eventually. Wake me up when NoA actually decides to bring Metroid: Zero Mission to the VC. Boooooo! We're getting Captain Toad 29 days later! Captain Toad at midnight for me! I wish they would've allowed pre-loading, but I guess they're only doing that for the hugely popular games. I'd pick up NES Remix if it weren't the same as the Wii U entry but with less content for the same price. I also find it amusing as always that there are stock limitations on the free digital download code for the home theme. Gonna get Cap Toad in physical form as the cover is way too cutie pie to pass up. I've been dying to play Sonic Boom on the Wii U so the demo it is! I hope it's the "Troll 2" of video games! Captain Toad at midnight for me. I've always been interested in Fire Emblem, but I'd rather avoid being left a sobbing mess due to permadeath. @ThomasBW84 - me getting Nintendo news RIGHT NOW, is more important then your safety. Next time I expect you to work through the danger and if the fire is too hot carry your desk outside! Oh yay... Another crappy demo for another crappy Sonic game... Fire Emblem for me. Sonic Boom demo! I really wanted to see its quality is myself first before deciding to buy it or not. Reviewers like to trash Sonic games. 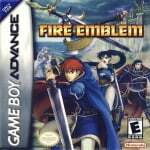 Does anyone here feel that Shining Force series is more superior to the Fire Emblem series? They are similar games and the interference for Shining Force is much simpler than Fire Emblem. Who decides these releases? Businessmen? sigh Not liking that NES Ultimate Remix is $30. I would have been more interested at $20, since it's only a certain number and not the whole combined package (which I really think Ninty could have shoehorned into the download). Treasure tracker for me and Fire Emblem. Don't forget your digital download money it expires at the end of the month. I wonder if Treasure tracker is exactly like the mini games in Mario 3d world? I think Nintendo should offer a refund for people who got tricked into buying MOON. It's disgusting that customers were taken advantage of with these so called episodes coming out before the year ended. I'm absolutely furious about it. I like shining force series better, but fire emblem is good in its own right. I'll be the 1% picking up Etrian Odyssey. I haven't picked it up yet, and $15 is a great deal. NES Remix free home themes: while supplies last. What supplies? It's digital content! Nothing for me this week, but that's fine. i have quite the backlog. Captain Toad does not really interest me, I may get it if it goes on sale. My promise to buy every long-awaited European VC game continues. Fire Emblem 7, here I come. Captain Toad at 9:00 PM PST!!! Captain Toad will be a retail purchase. Ordered it through Amazon for someone else (free shipping with Prime) and it arrived yesterday(!)... but not mine so can't play. Going to give Fire Emblem a try, just not sure when... maybe right away because many of our vacation days are leading up to Christmas and we'll need something to do before the big games arrive. My son loves the Fire Emblem demo on 3DS but he's 5 and it seems like that one isn't quite appropriate for him. Sonic Boom Demo can wait until after Christmas as I don't want my kids to want it. @majinx07 thats next year for that metroid title but i glad i still have the cartridge of it. @aaronsullivan - You got the game 2 days before it comes out? Somebody from Target must be working at Amazon. @Grumblevolcano should be happy to hear it, he's a man w/ a plan. I forgot to go to Target yesterday to see if it was out yet, I'll check later, we need things, but not that, Santa is bringing it. I wonder if the Knuckles endless jump is in the demo? We were going to get the game but my kids watched scykoh play thru the whole thing so I don't see the point now. And my kid wants Sonic '06 so we already have 1 glitchy mess coming. Maybe next year when I can pick it up for $10 or rent it from Gamefly. Good to see another Wii U demo though, thats 7 in about 3 months after none the previous 12. Too bad no Captain Toad demo, I know one exists in store kiosks somewhere. Thats a demo that could actually lead to some sales. @aaronsullivan - "but not mine so can't play. " "While stock lasts" on a free digital bonus code? I mean -I guess- as there are limited permutations, but still, I'm so confused right now. Ultimate NES Remix for me. I'm also hoping that Animal Crossing Christmas theme comes out here as well. Oh, wait, still no DKC. So it seems I'm still officially forbidden from praising anything about the NA Virtual Console. Sorry, Fire Emblem. 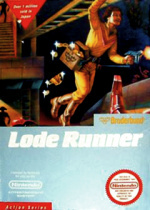 The creator of Lode Runner died around September or so this year. The game is what I believe to be a classic, although I'm not sure about the NES version. Still, the game isn't quite to my taste. Nothing for me today. I have too many games to complete first. But I will get a physical copy of Captain Toad soon. Anyone know if that free theme offer also applies to retail copies of the game? Or is it only free if you download the game? Lode Runner today and a physical copy of Captain Toad tomorrow! Yeah, Lode Runner! I grew up on the PC/Mac version, The Legend Returns. (I know, clever name.) The enemies were far stupider for some reason, but it had a large variety of items and a level editor. One of my most nostalgic games. I think I'll wait for a discount before I get Abridged NES Remix. Sonic demo will be the main thing I get right now, if only to see how bad of a game they pushed out. Still makes me sad to see Sega slowly being reduced to a small player in the industry. So Broderbund software was owned by Hudson and now by Konami.. So does that mean that Konami owns Battle of Olympus. I'll pass on Loderunner forshore that belongs in a landfill (my opinion), but if Konami comes out with that awesome old school metroid mania great game I would be estactic . @Klimbatize Apparently you can get it with the retail copy as well. @Everyone you can also get the Mighty Gunvolt DLC that came out yesterday! I envy you Americans for being able to play Captain Toad this month already. As much as I want Fire Emblem, I want it on 3DS, so nothing for now. "Those that pick it up will get a Famicom 3DS HOME Menu while stock lasts"
Agreed about the Captain Toad demo. It could still happen, eventually. I had thought seriously about opening it and getting another, but I'll save it. I realized yesterday I don't have it pre-ordered anywhere because there was no Target pre-order card for it. At that price there's probably not any deals upcoming for it, so I'll probably just settle for standard 5% off. Though critics seemed to dislike it I will still give Sonic Boom a try since it has free demo! Time to pick up aeternoBlade! I'll be getting the Sonic Boom demo for sure. I tend to enjoy Sonic games regardless of the review score as long as the demo is good fun. I guess I'll find out soon enough. Gonna wait on Captain Toad and Fire Emblem. I would honestly rather play a more recent entry in the FE series. @Whopper744 Not at all. Sacred Stones lets you grind if you want to, but in the original (as in most FE titles) you progress from chapter to chapter without anything chance in between to level up. On easy and normal difficulties there shouldn't be any major struggles though. Captain Toad!!! For the win!! I voted Sonic Boom demo instead of Treasure Tracker because I don't do retail downloads. I'm getting Treasure Tracker tomorrow on disc. Nuttin' of interest to me outside of Captain Toad, which I'm getting on-disc anyhow. Captain Toad Retail all the way baby!!! Oh, just picked up 2 amiibo for my kids ar TRU to take adavarage of the spend $35 get $10 off sale (picked up a Skylander as well.) Got Link - for HW spinner and Starfox b/c hes the best looking one, and he's wearing a Saiyan scouter so my kids can make - its over 9000 - jokes. 1 each for each kid for Hanukah, we'll see how it plays out. I almost picked up the 10% off Target gift card thing on Black FriDAY, I was even in the store, but my head was spinning with deals and how to make best use of sales on Disney Infinity (worked out okay) and when I realized I couldn't spend it that day (duh) I focused on other things. In hindsight it was a way to save an extra 5%. Should have maxed it out. Just started using Cartwheel and wasn't thrilled about another hoop to jump through, but I got double sales on a couple of items (in-store and then the coupon) so I think I'll keep trying it out. @rjejr Btw, are you celebrating Hanukkah and Christmas? I've just heard you mentioning under the tree, etc. Just curious as it sounds interesting. @aaronsullivan - "Could never stand Dragon Ball Yell-endlessly-at-each-other for very long"
Yeah, Hanukah and Christmas, its a lot of gift giving, but it was in the pre-nup. (just kidding, too poor for a pre-nup) And I know what you mean about the hoops, I forgot to use Cartwheel last time and went thru customer service, she said it was too late, tried to return the items I bought just to get the discount but it was food so no go, she finally let me do a "payment change", saved me $8 so it was worth the hassle, and annoying enough that I'lll remember to show it every time. Not enough to remember to show my keychain Rewards card at TRU today though. Maybe I'll do it online tomorrow. Spent 90 minutes in TRU to buy 6 things so no Target today, first thing in the morning. Then Gamestop. Shopping never ends. I'm having a hard time deciding on either AeternoBlade or Gunvolt. @Windy The Aeterno Blade demo bored me. I spent way too much time on Gunvolt. @primeris im still deciding. I have 12 bucks credit in the shop burning a hole in my pocket. I was kind of hoping we might see the new petite computer before the end of the year and Ive also thought about getting Alphadia Genesis on Wii-U. I'm going to play some more Fantasy Life and think about it. Gunvolt looks awesome though.